Nehemiah’s model prayer offers several important lessons for believers today about how to practice the discipline of prayer. When I heard these words I sat down and wept, and mourned for days; and I continued fasting and praying before the God of heaven. And I said, "O LORD God of heaven, the great and terrible God who keeps covenant and steadfast love with those who love him and keep his commandments; let thy ear be attentive, and thy eyes open, to hear the prayer of thy servant which I now pray before thee day and night for the people of Israel thy servants, confessing the sins of the people of Israel, which we have sinned against thee. Yea, I and my father's house have sinned. We have acted very corruptly against thee, and have not kept the commandments, the statutes, and the ordinances which thou didst command thy servant Moses. They are thy servants and thy people, whom thou hast redeemed by thy great power and by thy strong hand. 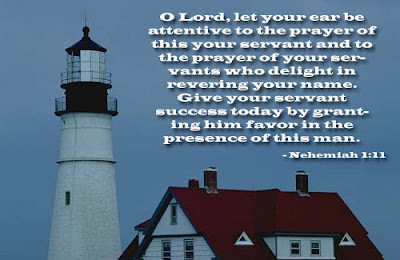 O Lord, let thy ear be attentive to the prayer of thy servant, and to the prayer of thy servants who delight to fear thy name; and give success to thy servant today, and grant him mercy in the sight of this man." 1) Nehemiah’s first response was to turn to God in prayer. Prayer was not something that Nehemiah engaged in after he had exhausted all other alternatives. He did not approach it as a last ditch effort, with the attitude, What have I got to lose? Instead, his immediate, instinctive response to the news of trouble back home was to fast and pray (Nehemiah 1:4). 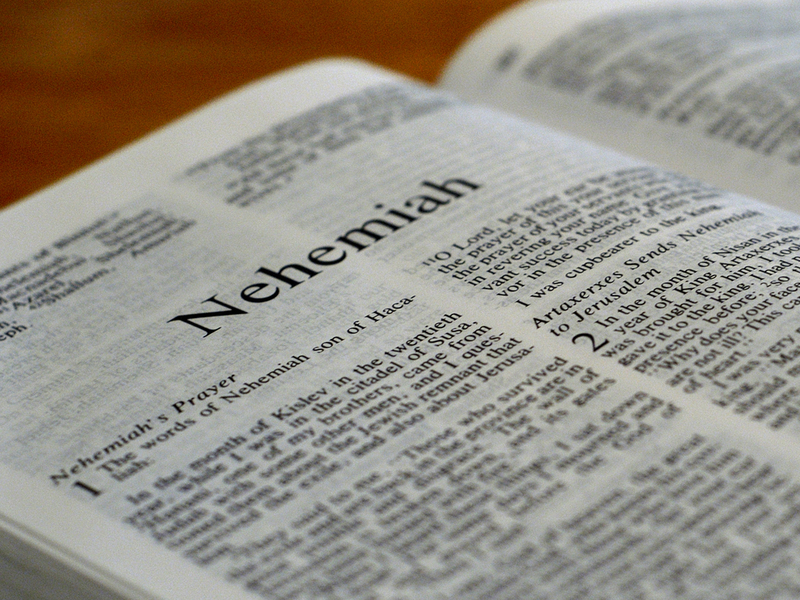 2) Nehemiah recognized and affirmed God’s sovereignty. He realized that the Lord had first and primary claim over all nations and people, whether they were Israelites or Persians. He saw himself and his people as being in the hands of God, dependent on His grace. 3) Nehemiah identified with his people. He used the pronoun “we” in his prayer. Rather than blame others, he accepted corporate responsibility for his people’s sin. 4) Nehemiah recognized the whole of God’s promises and commandments. In praying to God, it is easy to focus on what one wants from God, but ignore what God asks and expects from His people. Nehemiah knew what the Scriptures said about the Lord’s covenant with Israel, and he accepted the responsibilities of the covenant, not just the privileges.